“I did it the wrong way around,” laughs Mark Muller of his hot rod building exploits. 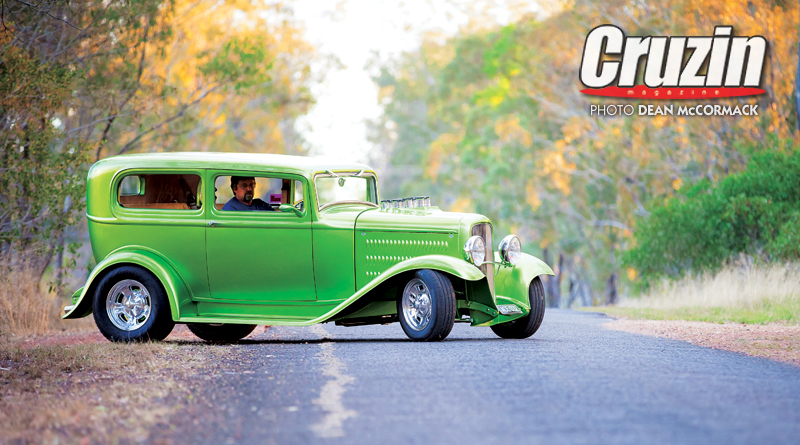 You see many people that own tudors usually do so for the purpose of carting children, but in Mark’s case he started out by building a Model A roadster while his kids were little. Now that the kids have grown up, he has a very nice tudor for just himself and his wife Vicki. 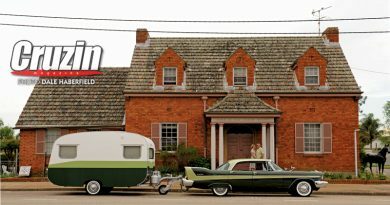 “I just like the tudor body style” he reasons, which is good enough for us. Mark cut his teeth on the aforesaid Model A roadster, building it up over a ten year period. 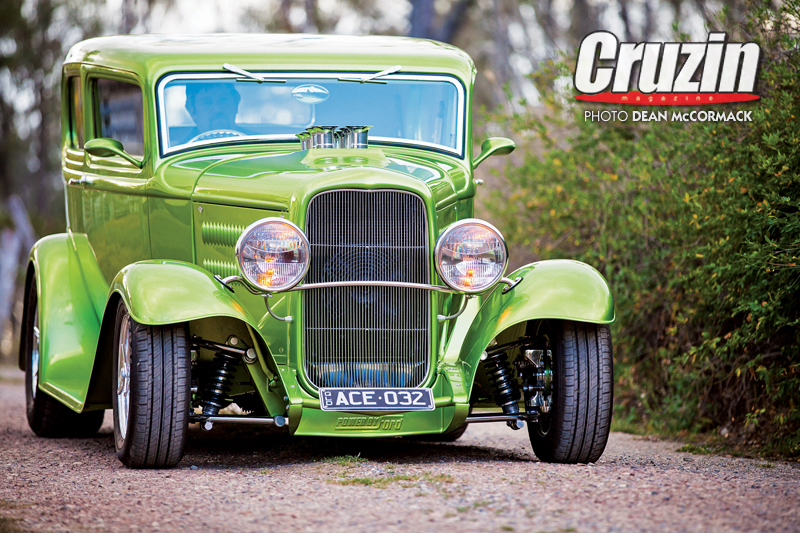 A truckie by trade and a family man, he pieced together the fully fendered ‘28 as time and money would allow, doing as much as he could himself and learning along the way. 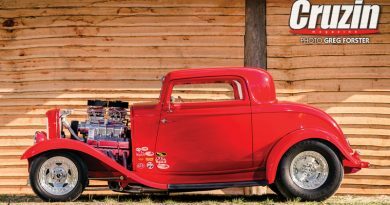 “I learned a lot from magazines,” he admits, studying photos of hot rod chassis and bodies and interiors and applying it to his own projects. 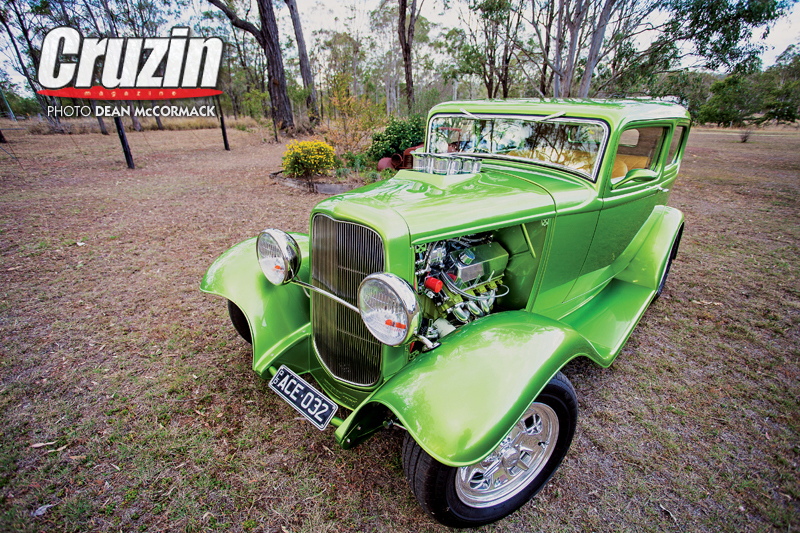 Located in a regional area north of Kingaroy in Queensland, well away from the hot rod hub of Brisbane, ingenuity is very much a necessity. The roadster ultimately gave way for the ’32 tudor project, Mark considering a late 30s fat fender before settling on the deuce. 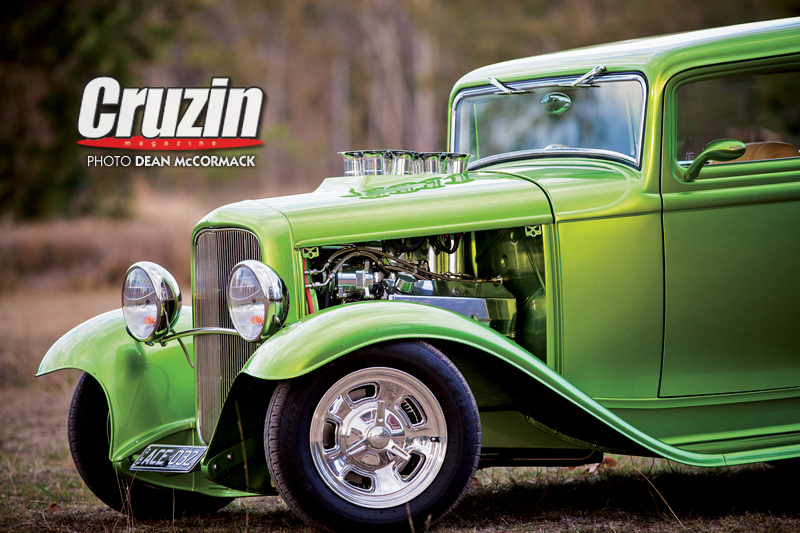 “I wanted something that was undeniably a hot rod,” he says, laying down orders for a Deuce Customs body and a Lewis chassis, and about every other part he needed to buy. “I was pretty nervous when I went to pick it all up from the depot,” says Mark, unsure of what he’d got for his money, but all was good. Like the roadster, the build would be a long term one, ultimately taking over 9 years. Externally he left the body pretty much alone, choosing only to widen the rear fenders by 1.5 inches and then tapering the running boards to suit. He also tilted the grille forward slightly at the bottom, keen to get as much space between the radiator and the motor as possible so he could run a decent cooling fan. Stock hood sides would no longer work so he simply made his own in steel along with a new standard length top. 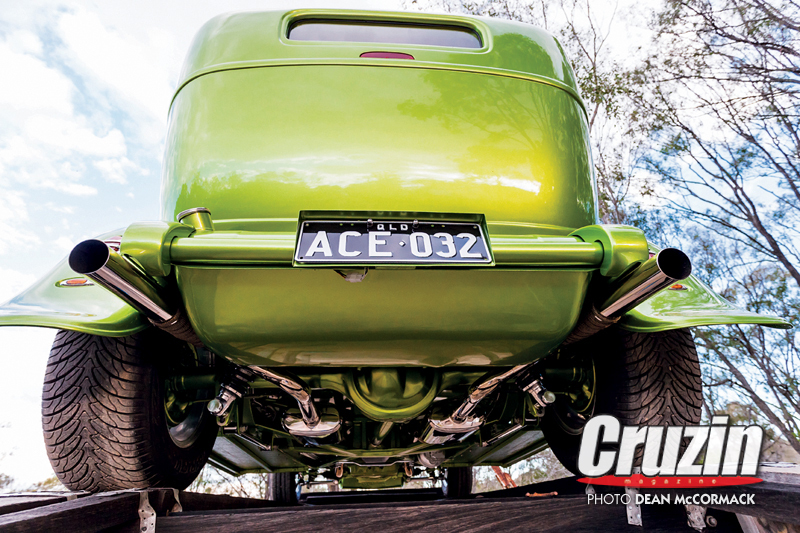 Once all mods were completed, Mark coated the body in Protec acrylic, Lime Green metallic is the hue. It extends onto to the chassis, diff, the Tanks Inc 60 litre fuel tank and a host of other items. Whatever isn’t painted is polished or plated, making for a pleasing undercarriage. 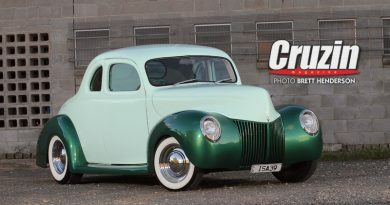 Among the external trimmings are ’32 passenger headlights with integrated turn signals, recessed ’39 Lincoln Zephyr tail lights, third brake light and a windscreen frame from Red Fox Frames. The 351 Cleveland is a mystery bag, but Mark had the engine in an old Falcon he once owned and knew it was a good strong motor, so kept it for the tudor project. 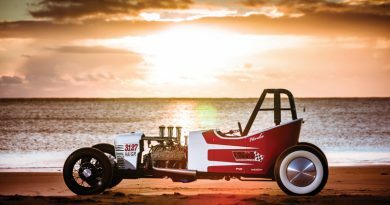 Beneath the Garlits faux injection is a 750 Holley, at the other end of the spark are HPC coated block hugger headers and a dual stainless exhaust, made by Mark of course. Gympie Automatics rebuilt the FMX three speed auto with a 2,500 rpm convertor, and the nine inch runs a tall 2.72 centre so the tudor can really stretch its legs on those country back roads. Mark was looking for something a bit luxurious when it came to the living room, keeping the budget in mind he plucked a pair of buckets from a forlorn Hyundai, selected for their adjustability and ease of mounting on a flat floor. 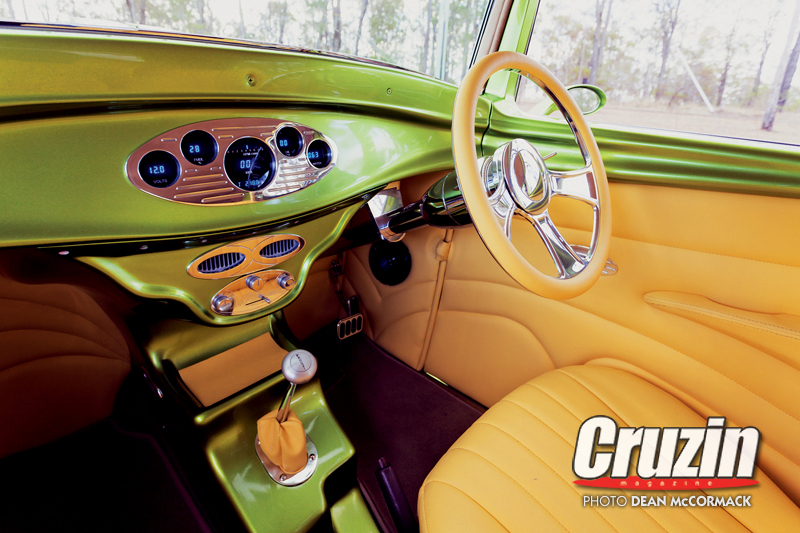 Mark worked with Paul Adams at Crittenden’s Upholstery Shop in Kingaroy to come up with an elegant design for the seats and door trims in Sunrise Yellow leather look vinyl. The curvaceous console serves a multitude of purposes, including concealing the Vintage Air mounted behind the dash, and took Mark a little longer than he initially figured. “I thought I’d have it built in a day!” he laughs. Carved from high density foam and overlaid in fibreglass, the final product is a testimony to his ability and patience! Ditto for the dash and front garnish moulds which have also been customised. Not fussed with the way the original dash was just squared off at the ends, the Mark Muller version now curves around at the ends and flows into the tops of the doors. The Billet Specialties Legacy wheels are a great choice for the tudor, Mark has wife Vicki to thank for those. “When I was looking for wheels, Vicki said she would shout me a set, so out went the el-cheapo catalogue and in came the Billet Specialties one!” he grins. Chalk up one for the car guy! Of course Mark is very thankful to Vicki for being such a good supporter throughout the whole project. In addition to those already mentioned, a big thank you goes to daughter Casey, who helped out her dad as well and was actually the one who contacted us about Mark’s car. “He’s a very passionate guy when it comes to cars. 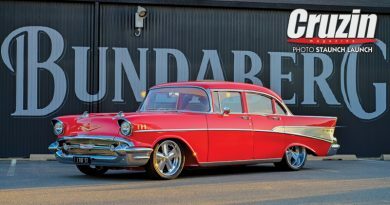 He turns 50 this year and I would love for him to have his car in the magazine,” she included in her message, not forgetting to credit Dean McCormack for the great pics.